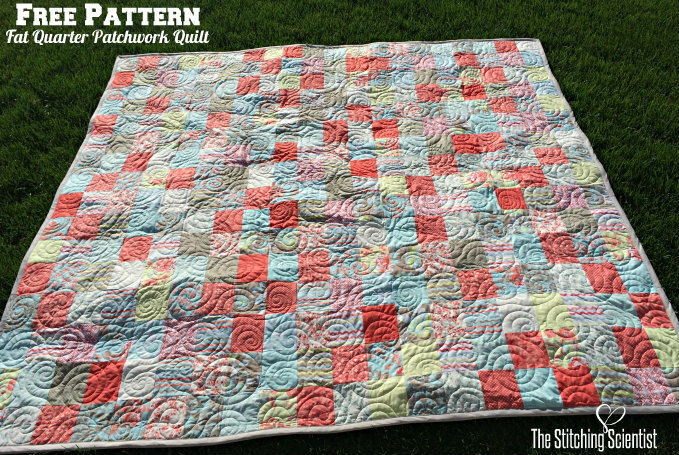 I did a quilt a few months back with a free pattern. It was one of my first quilt so I am pretty proud that I was able to actually complete it! It took me a while but here is the finished piece. 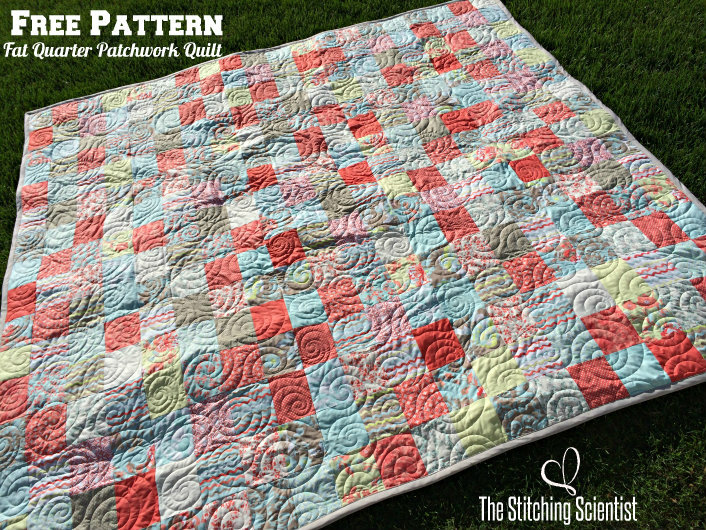 Take a look at the original free pattern and tutorial of the Easy Fat Quarter Patchwork Quilt. It has been well received by the sewing community. Thank you all for your support and kind words! 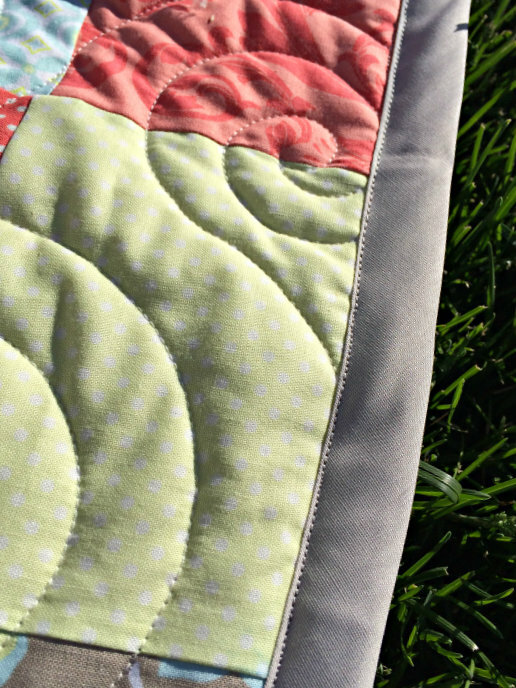 When I first started this quilt, it seemed like an impossible task to finish. While doing it, however, I realized that the pattern was not as hard as I thought and it was the perfect start for a beginner like myself. I enjoyed mixing and matching my colors and seeing it all come together. I am definitely going to make another one of these beauties in the near future. This fabric from the Kensington line at Riley Blake Designs. 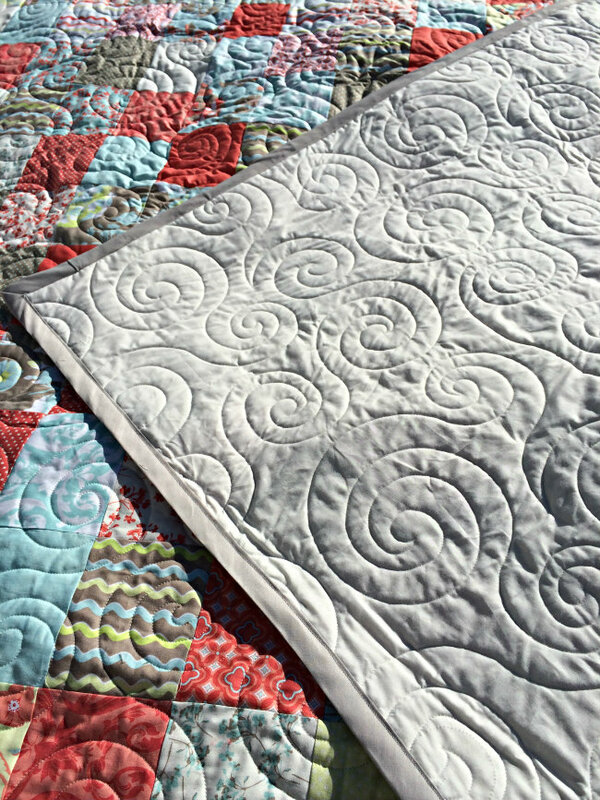 This quilt was quilted by Sew Shabby Quilting. Melissa is amazing at what she does. 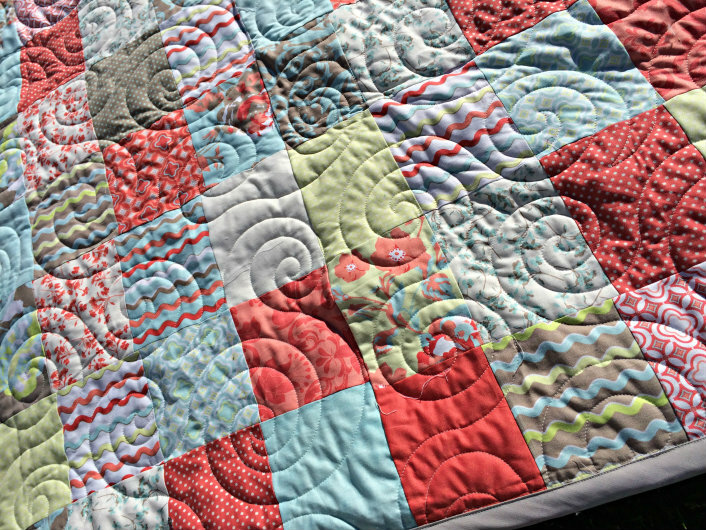 She recommended this giant swirl pattern which I think complimented the colors of the top very well. It was very neatly done and I will definitely be using her in the future. For the back, I actually bought a king size bed sheet instead of fabric at the store. The swirls really looks good on the white background. Melissa used a silver thread so that the swirls can be more visible on the back. I decided to do machine binding since I honestly don’t have the time or patience for hand binding. It’s not perfect but overall it came out pretty good. Well, there it is! You can find this tutorial and free pattern HERE.